The forthcoming lunch on the 6th October 2018 is being hosted by ‘”The Past Players’”. 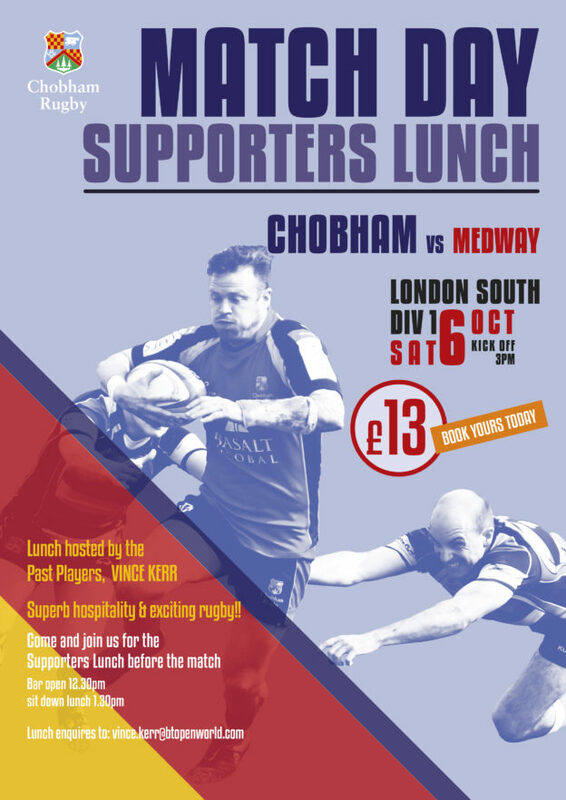 Not only will we have a culinary feast to look forward to but there will also be a feast of Rugby to enjoy, with Chobham 1st XV playing Medway. Hopefully you can make it? All welcome. This lunch is open to every member and past member of the club. 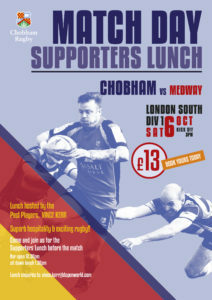 Why not book a table and take the opportunity to catch up with old friends over a meal and great rugby. If you are in contact with any past players please could you pass this invitation onto them, it will be great to catch up with some of the past characters. Please can you let us know here if you would like to book a table or individual seats? Final numbers are needed by Wednesday 3rd October 2018.